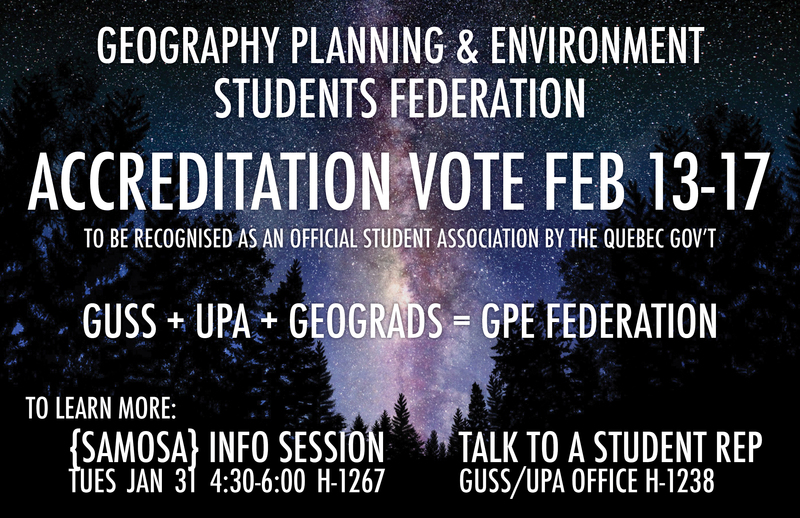 A motion at the March 23 General Assembly was passed to create a working group to review the Geograds By-Laws and propose changes, and to pass them by our lawyer. This should only take a few hours over the course of the summer or could take place in September before the next GA.
Any members interested in participating should email gpe.grads@gmail.com. 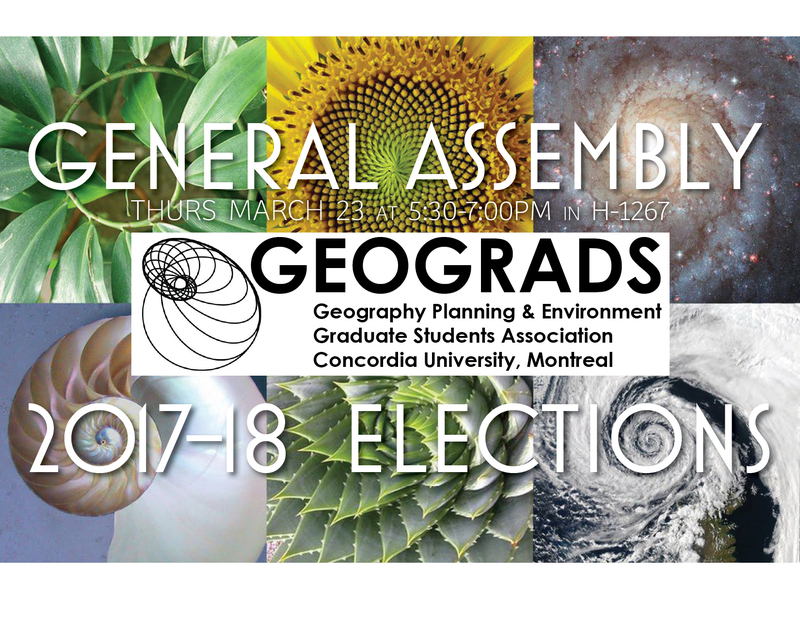 The results of the Geograds election verified by the Chief Returning Officer with the Dean of Students. We encourage new members to consider running for one of these positions. It’s a great opportunity to get involved in the GPE community! 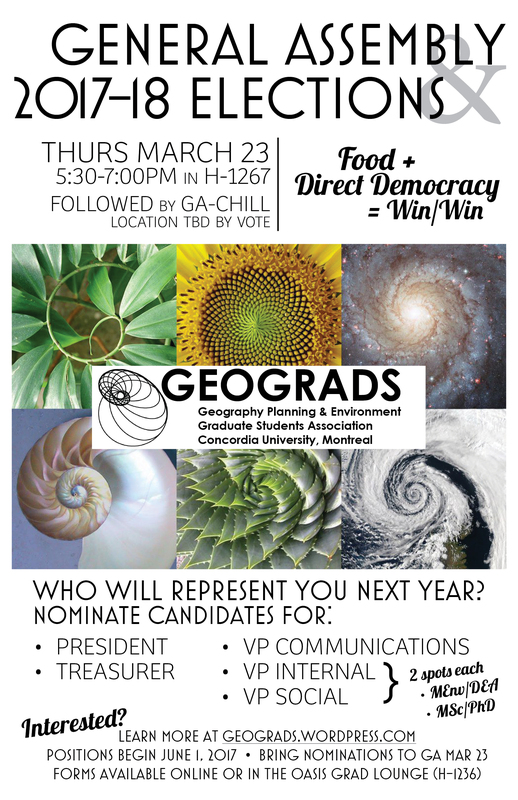 Some of our members were elected to represent graduate students in other associations.